At Hy-Tech Solutions, Inc. we strive to provide products and services in the Communications and Technology field. Our primary goal is to deliver excellent service to exceed the reasonable expectations of all of our customers, but most importantly to give them a sense of security. When Hy-Tech Solutions, Inc. is on the job, rest assured your valuables are protected. We take your safety seriously and provide lightning fast alarm responses! Connection issues are in the past. Your system connects to our monitoring centers via telephone, internet or cell. Check on your home and family from anywhere in the world with our large selection of video cameras. Our reputation speaks for itself. We provide a wide range of advanced security systems to keep you safe and simplify your life. We protect your families, friends and neighbors as our own. 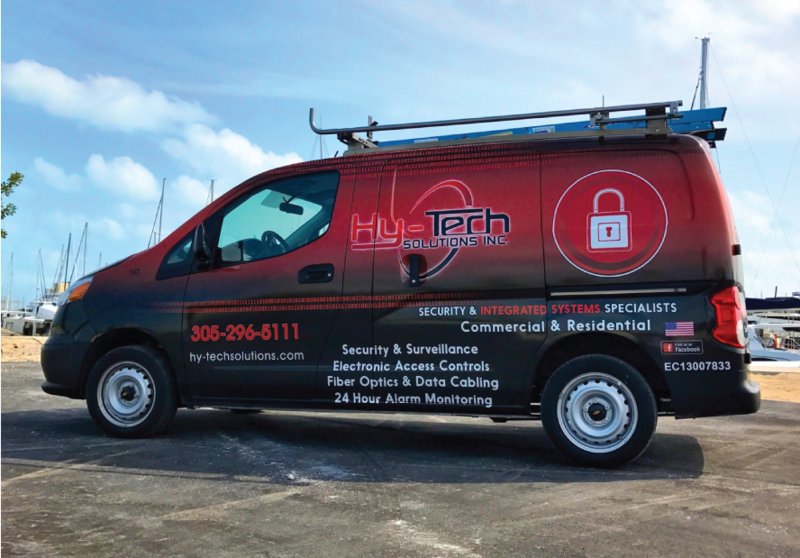 Established in 2017, Hy-Tech Solutions, Inc. is the premier Communication & Technology Contractor providing low voltage, fire alarm, and security services throughout Key West and the Florida Keys. Raymond Vazquez, President and Owner of Hy-Tech Solutions, Inc., is licensed and insured. Hy-Tech Solutions, Inc. specializes in fire alarm and security services along with commercial, government and residential projects. Hy-Tech Solutions Inc. is now the sister company to Florida Keys Electric Inc. As an advancing corporation providing all aspects of commercial, residential, industrial and underground electrical, fire alarm and security services, the company has recognized profitable growth by maintaining a reputation of quality and excellence with multiple repeat clients. Hy-Tech Solutions Inc. will help facilitate all of your security and fire alarm needs. Our experienced professionals will design and install the perfect systems solution for your business or home. From invasion alarms to access controls to security cameras and 24/7/365 monitoring. Hy-Tech Solutions Inc., can design, install, service and maintain your commercial and residential security and fire alarm systems. We have the knowledge, experience and know-how to completely secure and safeguard businesses of every size with a range of solutions.